During outdoor SAR vending events, some of our ball caps were exposed to warm weather, folded. The sides have a minor faded crease. Otherwise, they are in great condition. 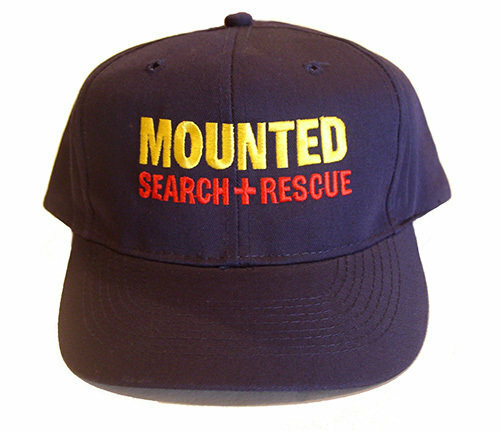 Let our ball caps identify your specialty in the field, whether you are training or on a search. Wipe clean with a damp cloth.